I had done a lot of research on having breast reduction surgery, so I knew a lot about what to expect. I have been thinking about a breast reduction for over 20 years. All my research and visits in the U.S only showed me that the procedure was costly and not covered by my medical insurance. In my research I found My Medical Vacations. It sounded pretty good and the price was less than half the cost they were charging in the U.S. I was a little skeptical about going out of country to have surgery and yet I was researching the same for my husband to get dental work done. Biggest concern was being safe and how sanitary were the hospitals and was it really that much less with travel and accommodations? I really liked what I had found about My Medical Vacations and the response was great and timely. No pressure and I felt like they were going to take good care of me in Cancun. After sharing my discovery with some family and friends about it I was torn. All the input I received was negative but as my husband and I discussed it I decided to go down and meet them and if I felt safe, I would schedule my procedure. It was the best decision that I ever made. The staff, doctors and nurses were so professional and caring. The doctor explained everything in such easy terms that I understood what to expect even more. They really accommodated me, Betty was there to translate when I needed it and was like my personal chauffer taking me to appointments and bringing me to the hospital to check in for surgery. Ana came to check on me every day and was awesome helping me while I was in recovering mode. The anesthesiologist was such a sweetheart and checked on me post-surgery to make sure I was ok. And if you want to feel good knowing your physician, Dr. Valdez was very confident and very interested in my surgery being successful. To ease my nerves, he called me before and after surgery and came to my hotel to check on me. We chatted on WhatsApp when I got home, and he would always return my calls and messages. 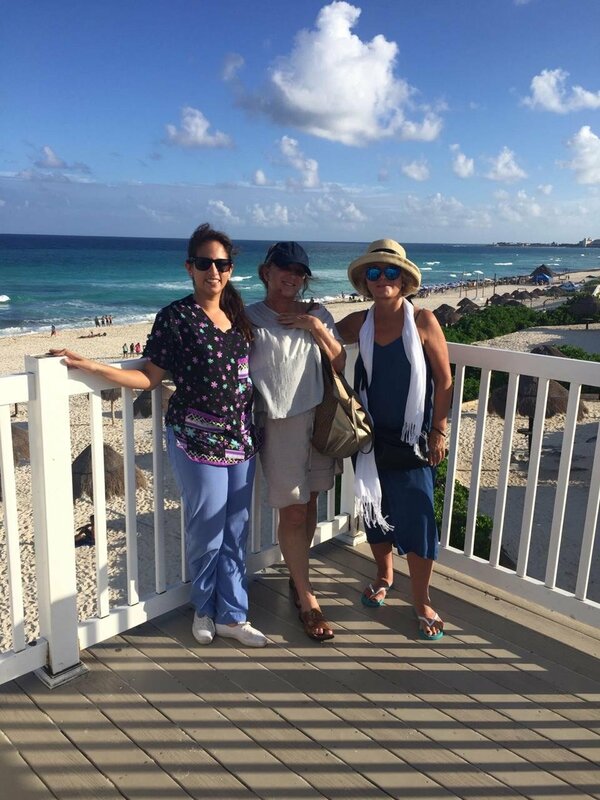 So did Ana and Betty, whom I now refer to as my guardian angels in Cancun. My Medical Vacations isn’t anything like what you may hear people say about it not being safe or sanitary; it’s just the opposite, very safe and very sanitary. I would recommend anyone wanting to discuss cosmetic surgery to give My Medical Vacations a call, you won’t regret it. Thanks for taking good care of me and allowing me to have a better life without breaking the bank. My Medical Vacations isn't anything like what you may hear people say about it not being safe or sanitary; it's just the opposite, very safe and very sanitary.